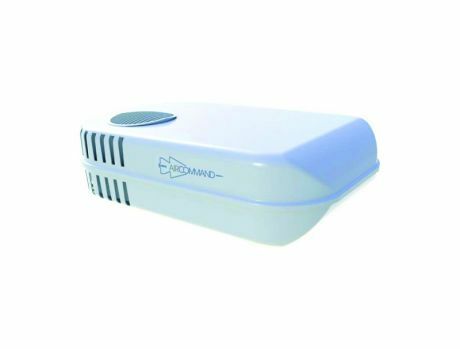 The Aircommand Ibis MK3 roof top air conditioner has been designed for the Austrlaian caravan with an even lower profile than its predecessor and increased capacity of more than 10%. It is whisper quiet, operating a full 8dB quieter on high speed than ealier models. Will suit vans up to 21ft and can be operated by rmeote control or via electronic touchpad controls. the lowest profile roof top air conditioner which reduces towing drag and the clearance required under carports and garages. Four way independently closing plenum with easily removable filter for quick cleaning. The Aircommand Ibis MK3 roof top air conditioner has been designed for the Austrlaian caravan with an even lower profile than its predecessor and increased capacity of more than 10%.It is whisper quiet, operating a full 8dB quieter on high speed than ealier models.Will suit vans up to 21ft and can be operated by rmeote control or via electronic touchpad controls.